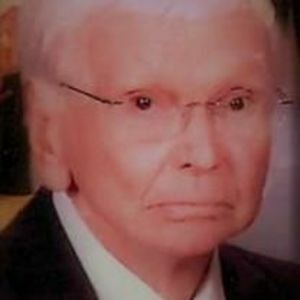 Euel D Vines, Sr. was born on May 21, 1920 in Toadvine, Jefferson County, AL to Henry Jackson Vines and Ethel Nancy Glaze Vines, the eleventh of thirteen children. After graduating high school, he enlisted in the US Army ROTC while attending Jacksonville State Teacher's College. He was called to active duty in December 1941 and deployed to the South Pacific Theater Command where he served in the Adjutant General Corps. In 1944, he was awarded the Bronze Star for going above and beyond the call of duty by providing mission critical support to US Marine Corps operations on Guadalcanal. After three and a half years of overseas deployment, he returned to Tuscaloosa, AL to finish his Bachelor's degree in Business Administration at the University of Alabama, and received an Honorable Discharge at the rank of Major. On August 25, 1946 he married Etta Godwin in her hometown of Ahoskie, NC. Together, they had three children. His successful corporate career meant several family relocations as he was promoted up the ladder. The family lived in AL, MI, TX, CT while working in NY, South Africa, and LA. His proudest professional achievements were being involved in the construction of the Pentagon and both towers of the World Trade Center. A man of strong faith in the Lord, and a lifelong Baptist, he taught his children never to express hatred for any living being, for to do so is to presume to judge God's Creation. He loved woodlands and meadows, and playing golf. He had a lifelong passion for American literature and dinner table conversations often turned into discussions of Faulkner and Welty. At the age of 95, he took on the challenge of Tolstoy's "War and Peace" on his Kindle, and joined an online Literary discussion of the tome. On the morning of January 16, 2018, in the loving company of his family, he passed away peacefully after a brief illness at age 97. He is preceded in death by his parents, his siblings, and his wife, who passed in 2004. He is survived by his children June Vines Trammell and her husband Pete, his son Euel D Vines, Jr. and his wife Kathleen, and his daughter Mona Vines and her husband Timothy Wachtel, and by six grandchildren, and 13 great-grandchildren. A graveside service will he held on Saturday, February 17, 2018 at 11:00 AM. In lieu of flowers donate to your favorite veteran's charity in his memory.